James “Jim” Kowalski, 79 of Loup City, NE died Wednesday, March 21, 2018 at the Good Samaritan Hospital in Kearney, NE. Mass of Christian Burial will be 10:30 a.m. Monday, March 26, 2018 at St. Josaphat’s Catholic Church in Loup City. Father Richard Piontkowski will celebrate the Mass. Burial will follow at the Evergreen Cemetery in Loup City. Visitation will be from 5:00 p.m. to 7:00 p.m. Sunday, March 25 at the church with a Knights of Columbus Rosary to be held at 7:00 p.m. at the church. Memorials are suggested to the Loup City EMT’s, St. Josaphat’s Catholic Church or donor’s choice. James “Jim” Andrew Kowalski was born June 22, 1938 at Loup City, NE to Peter J. and Rose Ann (Shotkoski) Kowalski. He grew up and attended St. Josaphat’s Catholic Grade School and graduated from Loup City High School. He then enrolled at the University of Nebraska at Lincoln and graduated in 1960 with a Bachelor’s Degree in Business Administration. He was enrolled in the United States Air Force Reserves from May, 1958 to May, 1967. He married Rita Ann Ryan on July 13, 1968 at St. Josaphat’s Catholic Church in Loup City. After several years of working with his Dad, he purchased Kowalski Feeders Supply and Hatchery and became owner/manager of Kowalski Feeders Supply. He retired in 2003. Jim and Rita spent the next 15 years traveling, spending time with family and friends and spending their winters in Sun Lakes, AZ. Jim enjoyed watching Husker athletics, playing golf, fishing and traveling. He loved watching his grandkids activities and spending time with his kids. He was a member of St. Josaphat’s Catholic Church, Knights of Columbus, Rotary, Lions Club, Loup City Fire Department and Loup City Development Corporation. 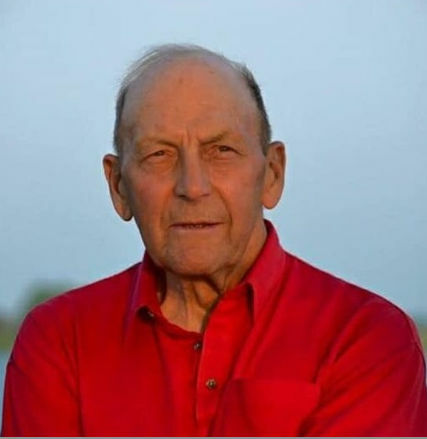 He is survived by his wife, Rita of Loup City, NE; son, John and Wife Brenda Kowalski of York, NE; daughters, Beth and husband, Doug Pearson of Thornton, CO; Kelly and husband, Jason Fehlhafer of Utica, NE; eight grandchildren, Ben and Nick Pearson; Alex, Ben and Lily Kowalski; Gracen, Ryan and Molly Fehlhafer; brother, Jack and wife, Barbara Kowalski of Gardnerville, NV and sister, Sharon and husband, Bob Petrytus of Scottsdale, AZ. He was preceded in death by his parents; sister, Annette Kirby and brother-in-law, Alan Kirby.